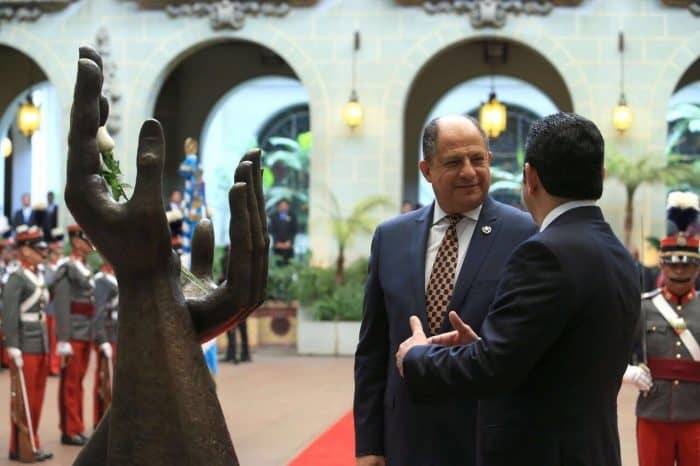 GUATEMALA CITY – It’s time to leave the rhetoric aside, said Costa Rica President Luis Guillermo Solís as he kicked off a four-day visit to Guatemala Thursday with a call for a “more substantive” Central America integration. “From my perspective, [regional] unity shouldn’t only be an expression of rhetoric, but rather it should clearly express positive action,” Solís said as he was welcomed by newly elected Guatemalan President Jimmy Morales at the National Palace in downtown Guatemala City. The Costa Rican president also will meet with the presidents of both the legislative and judicial branches, and will travel to the northern department of Petén, which borders Mexico and Belize. There he will visit the archaeological site El Mirador among other activities. Solís said his administration would evaluate returning to full participation in the Central American Integration System (SICA) if leaders of other countries on the isthmus formulate specific and effective proposals toward integration. Last December, Costa Rica withdrew from SICA’s political forums after being snubbed by other countries in the region on the issue of helping thousands of Cuban migrants stranded in Costa Rica after Nicaragua shut its border to them. A slow-paced solution finally was reached with Costa Rica offering flights to the Cubans to El Salvador and Mexico, where they will continue their journey to the United States. But Costa Rica’s return to SICA politics “would require that we start seriously thinking about the challenges Central America faces and how we can meet them with an effective and efficient integration that responds to the needs of our people and their aspirations for unity,” Solís said. “We could be exemplary leaders in the battle against epidemics, disasters, terrorism and organized crime if we united around an efficient system of integration, and one based on substance,” the Costa Rican president added. 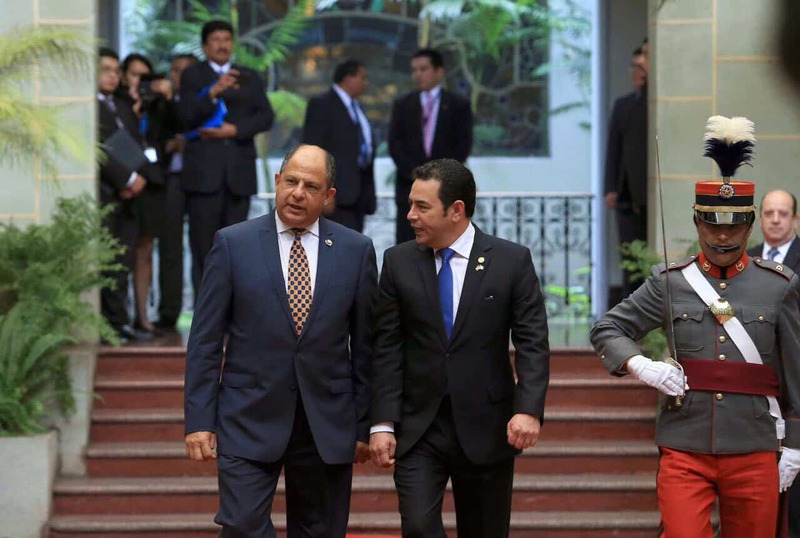 Morales, a former comedian and political outsider who took office in January, highlight the good relations between Guatemala and Costa Rica and promised to increase the participation of Tico businesses in the Northern Triangle country.